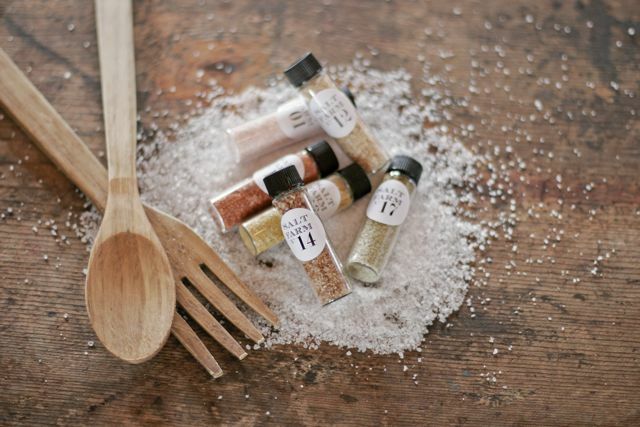 Salt Farm | Sea Salt San Diego: More stuff to buy on Etsy, plus 4th of July specials! More stuff to buy on Etsy, plus 4th of July specials! Keep an eye out for more items on saltfarm.etsy.com. 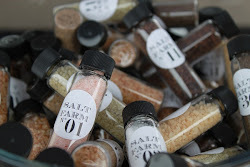 I'll be listing the rest of the salts there this week, plus Himalayan Pink salt plates. Order a sampler for yourself, or a gift, I'll even gift wrap it for you! And, don't forget it's 4th of July weekend...I'm assuming every barbecue and barbecuer will be working hard this weekend, so I'm here to help. Stop by one of the farmers' markets I'll be at and grab a pre-packed Grillers Sampler for only $8, normally $10. The pack will include Yakima Applewood Smoked Salt, Chipotle Salt Blend, and Alaea Hawaiian Red Clay Salt--THE salt for grilling meats. Or, pick up a Himalayan Pink salt plate and try that out on the grill!